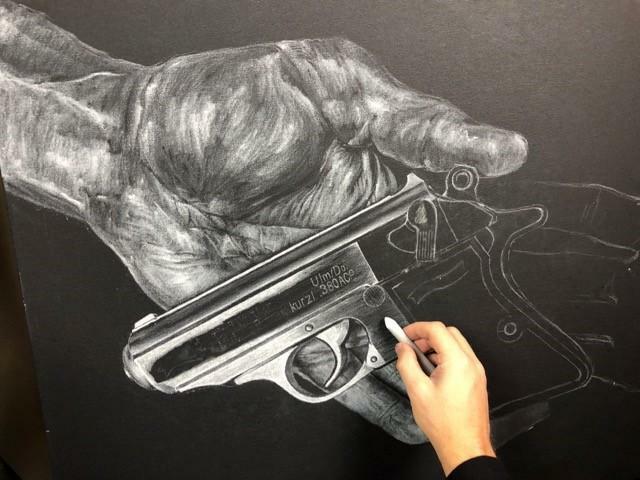 LIVE now on GunBroker.com: original work of art featuring the Walther PPK/s which was created live at Shot Show 2019 in Las Vegas, Nevada by the artist Joel Pilcher. He spent the entire week at the show creating this beautiful white charcoal on gallery-wrapped black canvas. It measures 24” x 36” inches. All money raised will be donated to the Children’s Emergency Shelter and the Fort Smith Symphony.